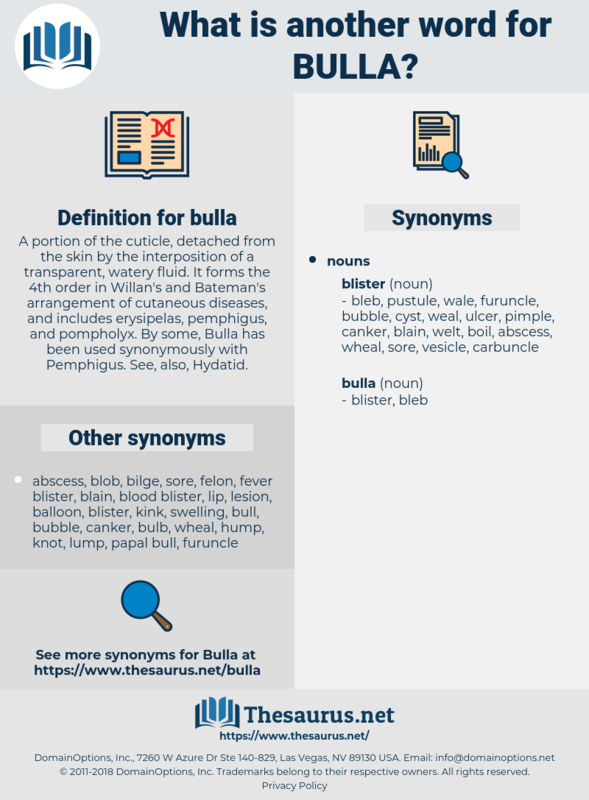 What is another word for bulla? A portion of the cuticle, detached from the skin by the interposition of a transparent, watery fluid. It forms the 4th order in Willan's and Bateman's arrangement of cutaneous diseases, and includes erysipelas, pemphigus, and pompholyx. 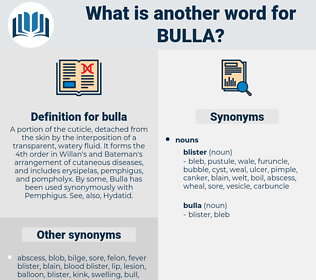 By some, Bulla has been used synonymously with Pemphigus. See, also, Hydatid. These Moorish auxiliaries are gathering in Numidia, in the plain of Bulla. 20, and his 'Roman Questions, ' Part 3, in which he explains what the Bulla is.